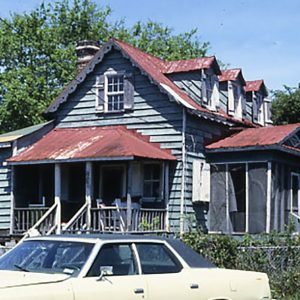 Built by Henry Hutchinson around the time of his marriage to Rosa Swinton in 1885, the Hutchinson House is the oldest intact house identified with the African American community on Edisto Island after the Civil War. Hutchinson was born enslaved in 1860, and according to local tradition, he built and operated the first cotton gin owned by an African American on the island from about 1900-1920. Hutchinson lived here until his death in 1940.